Latest hat order off to Canada. I was just going to post my half finished project tonight, but couldn’t stop crocheting. Soooo, I’m posting both photos. Progress and completion in one go!! 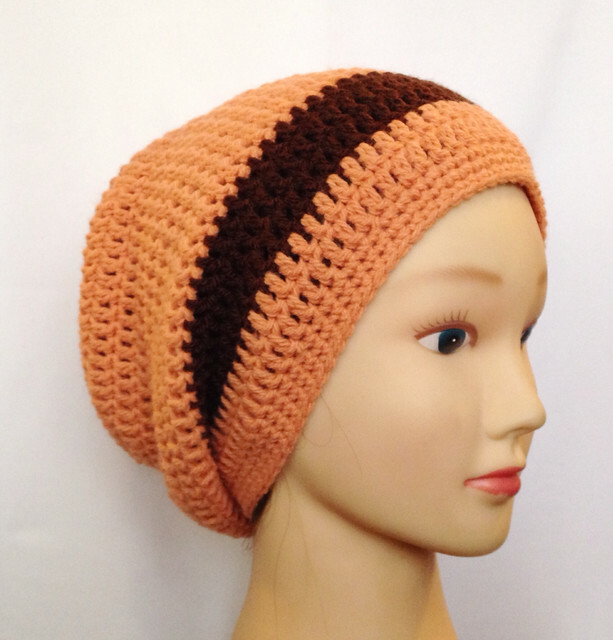 Latest crochet pattern available in my shop. 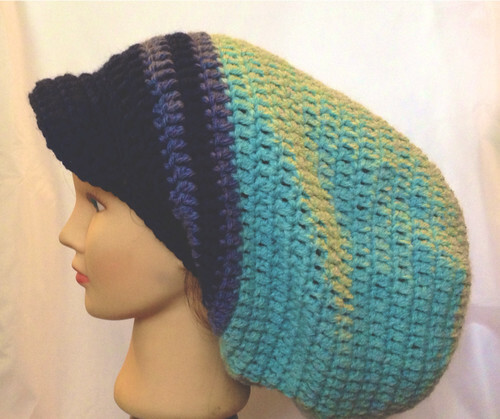 The Honeycomb Beanie Crochet Pattern! Speaking of yarn, I bought some! Possibly too much. Again. Also got another Clover Crochet hook which is stuck in there somewhere. 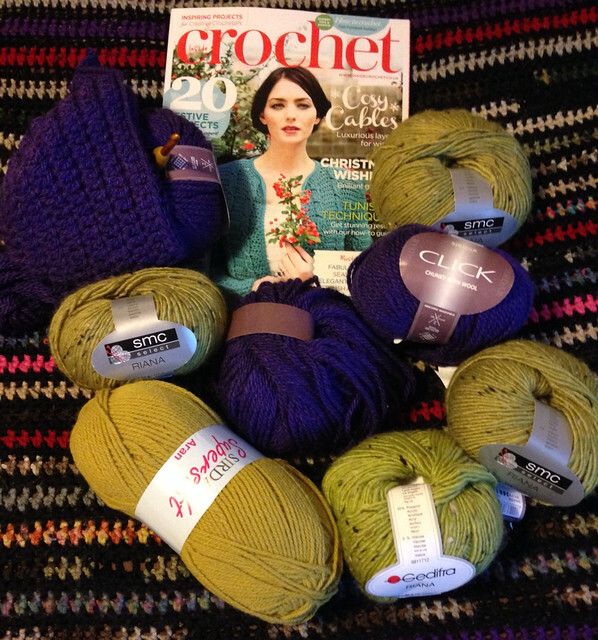 I just had to get an issue of Inside Crochet magazine as well. It’s my fave crochet mag and always has something interesting to read or gain inspiration from. I saw the gorgeous purple Sirdar Click chunky with wool and had to snag a few. I’ve already started a hat with it! 🙂 I also threw in a random Sirdar Supersoft Aran in a mustard colour. Just because I was standing next to it. Like I needed a reason. 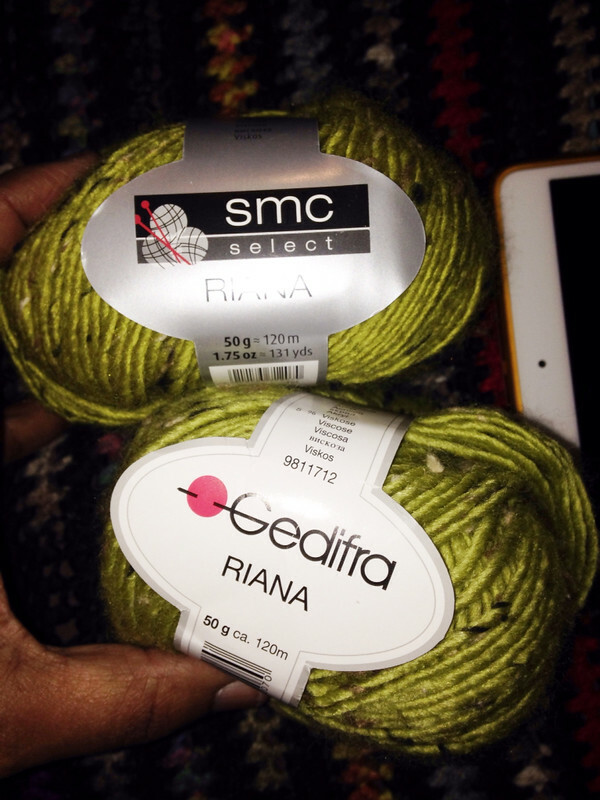 The green flecked SMC Riana was on sale and also had to go home with me. Unfortunately I later realised I’d bought two different types. *mad face* You can barely tell the difference, but it’s there. One is slightly lighter than the other. Just a few items I wanted to share. 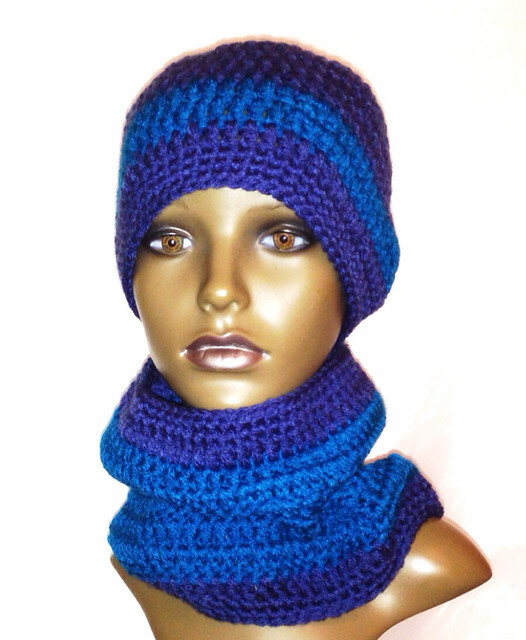 I’ve also completed a beanie and neck tube set that I have to list in my shop. Been so busy today I haven’t had any time to!